I learnt the closing the bones massage, a traditional Ecuadorian postnatal massage from Dr Rocio Alarcon back in 2013. Since then I have seen for myself how wonderfully healing and nurturing this massage is, and trained several hundred birthworkers in offering it too. On the request of therapist and people who found it difficult to work on the floor, I also developed a new massage table technique with Cambridge Osteopath Teddy Brookes, which is called the Postnatal Recovery Massage, and is done on a massage table instead of on a mat on the floor. When we grow and birth a baby, we change and open in every sense of the way. Physically, energetically, emotionally. Since learning the Ecuadorian closing the bones, I have come to realise that every culture in the world has some form of bodywork designed to close a new mother and return her to her center. Beyond the physical aspect of these rituals, there is a spiritual aspect to the massage, which provide a safe space/ritual for the mother to feel nurtured and release emotions associated with the birth and motherhood. 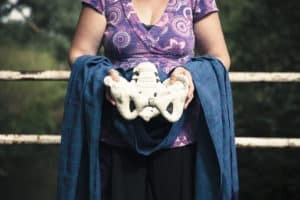 Having experienced the massage myself and given it to hundreds of to new and not so new mothers, I have both experienced and witness how powerful this ritual can be in releasing birth emotions, even many years after the birth itself. It is a time out for the mother; a time to have a silent communion with herself and reflect on her journey to motherhood and to feel the loving hands of another woman nurturing her. I am delighted to offer 2 different nurturing massages to new or no-so new mothers. 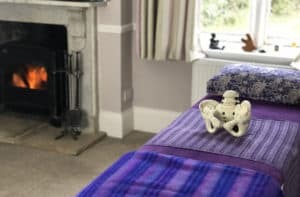 I offer the traditional Closing the bones massage, which is done on a mat on the floor, and the massage table inspired version, called Postnatal Recovery Massage. You can choose to have the massage either with myself (£85) or jointly with another doula (£140). There is something quite special in having two experienced mothers nurturing a new mother, as well as helpful arms to hold a baby if needed. What happens during this treatment? I can talk to you in advance to make sure it is tailored to your needs. The treatment involves lying on a comfortable mat on the floor or a massage table, having your pelvis rocked with a traditional Mexican rebozo shawl, a massage of the abdomen, chest and arms with a special warming oil, more rebozo rocking, and wrapping you from head to toe with different rebozos, and letting you relax whilst I read you a poem/sing/sound bathe you with my drum. I can add Reiki to the treatment too. After it is finished I let you rest for a while, then there is some time for you to talk about how it felt if you wish. There is also the option for you to have a rebozo to keep after the massage (I will use this rebozo to massage and bind you, therefore it will be special and a lovely memento of the session and you can use it to wrap your hips again afterwards). The cost of the rebozo is £30. If you have already booked me as your birth or postnatal doula, then I offer this massage at a lower price (£60) as part of a postnatal care package. The massage is even more beneficial if done several time so I offer a buy 2 get one half price package-get in touch for this.